Cell is a band purveying their own unique brand of cosmic black metal with pile-driving drumming, flavored with hints of doom and sludge metal, but always with that unique black metal atmosphere, inspired by the cosmos, and darker than any black hole, drawing all light into itself and spewing out darkness. Their top five influences are Inquisition, Tsjuder, Immortal, Death and 1349 but Cell very much bring their own vision to the table, after all, if you want to see far, you stand on the shoulders of giants…and Cell’s vision reaches to the very edge of the universe. 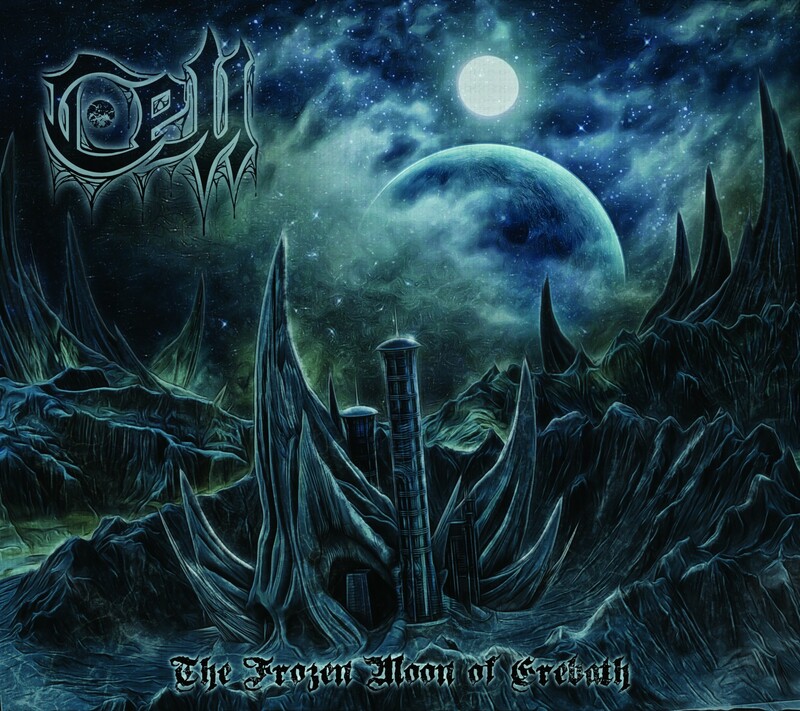 Cell came into creation in the late fall of 2014 at the hands of guitarist and vocalist Hyperion and drummer Void in Winnipeg, Manitoba. 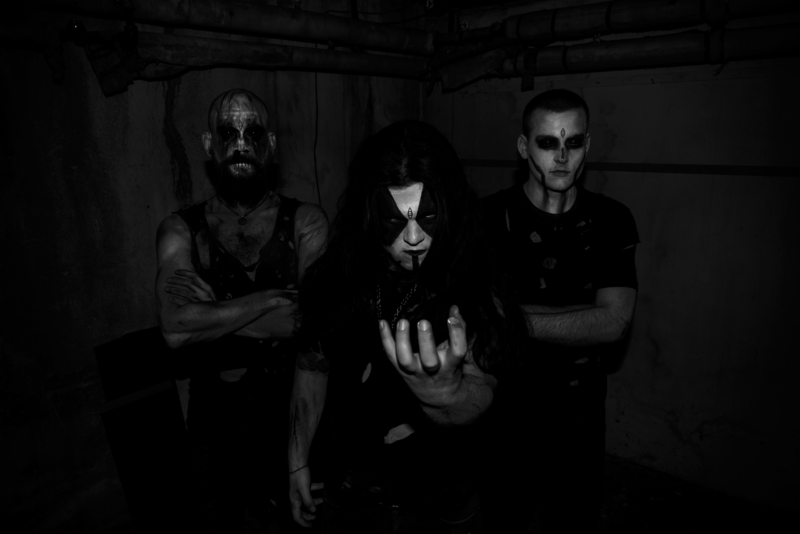 After jamming as a two-piece for a few months, bassist Deimos joined the nucleus of Cell, and this unique black metal organism was ready to infect the world, for a strong concept divides and multiplies like an invading organism infecting more and more fans in their turn…The Cell infection/invasion begins here! Feeding off the crowd’s energy, Cell lives to bring their unique cosmic black metal to the stage…to show and guide their fans to what reigns above them, the universe in all its cold splendor and glory! Guitarist and vocalist Hyperion explains the meaning behind Cell’s unusual name and how the Cell itself formed. Indeed, Cell’s music has a depth and originality that goes beyond much of the clichéd music out there, as Hyperion explains in great detail the meaning behind their songs. ‘In the track ‘Celestial Hybrid’ we explain a scenario where the hybrids of Erebath land on a planet similar to erase and terraform. They decimate the middle-aged and old while kidnapping the children for experiments to complete their conquest of the ‘perfect being’.